SABOTEUR GENERAL OF INDIA(?) or SOLICITOR GENERAL FOR UNION MINISTER A.RAJA? 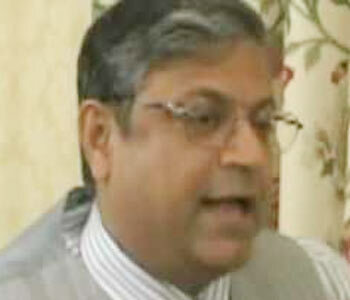 Is Gopal Subramaniam a Solicitor General of India (SGI) or Saboteur General (SG) of India? He has brought permanent disgrace and infamy to the noble legal profession. He should be made to quit from the exalted Office of the Bar Council of India. Just as a former Chief Justice of Supreme Court of India allowed his official residence to be used as the private Real Estate Business headquarters of his beloved sons, this shameless Solicitor General of India (SG) has used his residence to function as the legal headquarters for protecting the corrupt Union Minister A.Raja in the Case relating to the Himalayan Mega Fraud 2G Spectrum Case pending in the Supreme Court of India. Gopal Subramaniam was the ‘chamcha’ of the most corrupt Former Union Shipping and Transport Minister T.R.Balu. Now he is functioning as the ‘private chamcha’ of the Union Minister A.Raja. Thus Gopal Subramaniam has become the unsought Saboteur General of India (SG) on the one hand and the much sought after Solicitor general of India (SGI) for Union Minister A.Raja. It has been widely reported in the Press that a meeting of CBI and Enforcement Directorate Officials took place at the Official residence of Gopal Subramaniam the Solicitor General of India on 28th October 2010 to discuss the 2G Spectrum Fraud Case. Anitha Shenoy, the Advocate for A.Raja, was also present, though she had no locus standi to participate at that meeting. This ‘meeting’ was ‘designed’ by the SGI to facilitate Anita Shenoy in the ongoing 2G Spectrum Corruption Case in the Supreme Court. This SGI had summoned CBI’s Investigative Officer Vivek Priyadarshi and DIG S.K.Palsania for that meeting with the hidden purpose of helping Anitha Shenoy and not assisting the Enforcement Agencies of the State like the CBI in effectively conducting the prosecution of the case. It has been reported in the Press that at this meeting the SGI introduced Anitha Shenoy to the Enforcement Officers. SGI requested these officers to brief Anitha Shenoy. QUITE UNLIKE THE SGI, THE D.I.G. PALSANIA CONDUCTED HIMSELF WITH GREAT DIGNITY, MORAL COURAGE AND HIGH SENSE OF PUBLIC RESPONSIBILITY BY STRONGLY OBJECTING TO THE OPENLY NEFARIOUS AND SHAMEFUL GESTURE OF SG TO SABOTAGE THE DUE LEGAL PROCESS OF CORRECT INVESTIGATION OF THE CASE AGAINST Union Minister A.Raja. Palsania told the SGI: “We have nothing to do with Raja’s advocate and we are not supposed to talk to her. WE WILL REPORT ONLY TO THE DIRECTOR OF THE CBI AND NOT EVEN TO YOU AND MUCH LESS TO THE PRIVATE ADVOCATE FOR UNION MINISTER RAJA. We cannot be dictated to. We are under no official obligation to report to anybody about the progress of the probe.” Ignoring SGI’s illegal and immoral instructions, these officials then walked out of the meeting. Immediately thereafter they brought SG’s open interference on behalf of Union Minister A,Raja to the notice of the CBI Director Ashwani Kumar.It has been reported that CBI Director told Union Law (less! )Minister Veerappa Moily: “We demand a new Counsel in the place of this SG. We do not want to entertain Gopal Subramaniam anymore”. After the controversial meeting on 28-10-2010, the SGI claimed “illness” in order to absent himself from the next hearing at the Supreme Court of India on October 29th 2010. Raja’s advocate Andhyarujina had informed the Supreme Court of the SGI’s “illness”. Mercifully and hopefully for the helpless and battered people of India, the CBI was represented by Additional Solicitor General Harin Raval on that day. I would like to pay my tribute to D.I.G. PALSANIA for having done his official duty without getting pressurized by the immoral moves of Gopal Subramaniam at the meeting held on 28th October 2010. It was Vineet Agarwal, who was Deputy Inspector General of Police in the CBI, who exposed the corrupt and fraudulent connections of Union Minister A.Raja with Ms Nira Radia. For having done his official duty in a fearless manner, he was transferred from the CBI and posted back to his parent IPS cadre of Maharashtra! Only the firangi memsahib (of course not our ‘Boneless’ Prime Minister or ‘Shadow of Shadow’ Union Home Minister!! )knows what fate awaits D.I.G. Palsania for having done his official duty at the meeting at SG’s residence on 28-10-2010! THREE CHEERS TO THIS ‘MOST HONOURABLE’ SABOTEUR GENERAL OF INDIA and MOST DISHONOURABLE SOLICITOR GENERAL for MOST HONOURABLE UNION MINISTER A .RAJA! THREE CHEERS TO THE FIRANGI MEMSAHIB AND HER ITALIAN FAMILY FOR THEIR FACILITATING/PARTICIPATING ROLE IN THE HIMALAYAN 2 G SPECTRUM Rs. 1,760,000,000,000/-LOOT OF AND THE LOOT CASE AGAINST RAJA!!! THREE CHEERS TO OUR BONELESS AND MOST HONEST PRIME MINISTER FOR CONTINUING TO SUPPORT THE MOST CORRUPT UNION MISTER A. RAJA ON THE IRREFUTABLE COMMAND OF THE FIRANGI MEMSAHIB, THE MOST EXALTED, THE MOST VENERABLE AND THE MOST VENAL MOTHER SUPERIOR—SUPREME COORDINATOR AND FACILITATOR--- OF ALL SCAMS IN THE COLONIAL AND ANTI-NATIONAL UPA II (NON) GOVERNMENT OF INDIA!!! One Public Interest Litigation(PIL) case in the spectrum scam has been filed by senior advocate Prashant Bhushan, NGO Telecom Watchdog and veteran journalist Paranjoy Guha Thakurta, who have demanded that the Supreme Court monitor the CBI probe. The Court has sent notices to the CBI, ED, Income Tax, Department of Telecom and A Raja in this case. The CBI has invited severe criticism from the apex court for its “slipshod” investigation. Another case in the scam has been filed in the Supreme Court of India by JANATA PARTY PRESIDENT DR.SUBRAMANIAN SWAMY, demanding sanction from Prime Minister Manmohan Singh to prosecute Raja. Pointing to the “hidden deals” being undertaken, Dr.Swamy has stated: “The meeting of counsels representing the Union Government, the CBI (investigating the 2G Telecom scam) and Minister A Raja (the prime beneficiary of the scam) is a gross violation of ethics, and represents a tampering of evidence and to rig advocacy in the Supreme Court, which is hearing my petition on granting of sanction to prosecute Raja.” The only inference anyone can draw is that this is a clear case of national sabotage and cover-up. Leader of Opposition in the Rajya Sabha Arun Jaitley has told a TV news channel: “It’s surprising how an advocate pleading for an accused is in connivance with the CBI. Both the investigating agency and the advocate are sitting together to try and bail out A Raja,”. Solicitor General of India Gopal Subramaniam has of course denied that he had called for a meeting of Central Bureau of Investigation (CBI) and Enforcement Directorate (ED) officials and Anitha Shenoy, the private counsel for the Telecommunications Minister A Raja. I am not a trained lawyer. Thank God for that! I would have been forced to waste my time arguing before some of the known and supremely corrupt Supreme Court Judges of India. As a citizen of India I am interested in the History of Law and Justice. 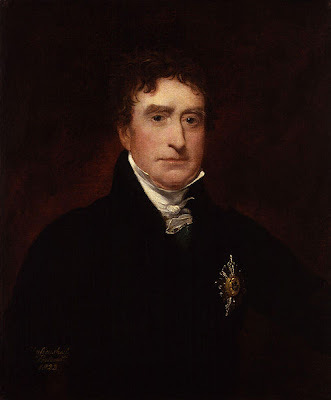 Thomas Erskine was one of the greatest advocates ever to appear in an English court of law. As King’s Counsel he was involved in many celebrated trials, including the prosecution of John Horne Took for seditious libel and of Queen Caroline for adultery. His other notable achievements include the successful defence of Thomas Paine’s Rights of Man, which cost him the post of Attorney-General to the Prince of Wales. Erskine also served as Member of Parliament for Portsmouth and for just one year as Lord Chancellor. Thomas Erskine was one of the bar's greatest names. Few however know this extraordinary story of the man who traced his way from poverty through the navy all the way to the bar and Parliament to the House of Lords and the Woolsack. Almost 200 years after Thomas Erskine's death most barristers and solicitor advocates still aspire to his legendary oratorical and forensic skills. IN THIS CONTEXT I AM NOT REFERRING TO THE S G!! I recall reading an inspiring book titled Trial of Thomas Paine, written by Thomas Erskine (1750-1823) and published in England and USA in 1792. In this book Thomas Erskine wrote as follows: “ I WILL FOREVER, AT ALL HAZARDS, ASSERT THE DIGNITY, INDEPENDENCE, AND INTEGRITY OF THE ENGLISH BAR; WITHOUT WHICH, IMPARTIAL JUSTICE, THE MOST VALUABLE PART OF THE ENGLISH CONSTITUTION, CAN HAVE NO EXISTENCE. From the moment that any advocate can be permitted to say that he will or will not stand between the Crown and the subject arraigned in the Court where he daily sits to practice, from that moment the liberties of England are at an end.” India’s Saboteur Generals have nothing but contempt for the liberties of India. They are only interested in protecting the public loot of our Union Cabinet Ministers and politicians, safely lodged in Swiss Bank Accounts! Let me now become less grave and end this sordid story by lapsing into levity with a comic verse called Lawyer’s Law. Telecom Minister A Raja has finally resigned. Two years after The Pioneer first exposed the 2G spectrum scam, pegged at Rs 1.70 crore by the Comptroller and Auditor General (CAG), the DMK Minister became a casualty of sustained Opposition pressure, intense media scrutiny and public debate. Upon returning to New Delhi from Chennai late on Sunday, Raja drove straight to Prime Minister Manmohan Singh’s residence from the airport and submitted his resignation. “In order to avoid embarrassment to the Government and maintain peace and harmony in Parliament, my leader (DMK chief M Karunanidhi) has advised me to resign. I will prove my innocence…I did everything in accordance with the law. I brought about a revolution in the telecom sector. My conscience is clear. I did much for the country, for my people,” Raja said. Minutes later, the DMK headquarters in Chennai stated that Raja had been advised to submit his resignation to the Prime Minister for ensuring smooth functioning of Parliament and that there was nothing wrong on his part in following the procedures in the allocation of 2G spectrum. Raja had followed the 1999 National Telecom Policy, the statement added. The one man who gets full credit for the fall of Raja is undoubtedly The Pioneer’s Special Correspondent J GOPIKRISHNAN, who first blew the whistle on the 2G spectrum scam in December 2008. Thereafter, he wrote as many as 70 incisive stories on the scam, exposing various facets of Raja’s murky designs in spectrum allotment. Gopi launched the crusade and kept it going when few others dared to take on the ‘mighty’ Raja. With the Opposition determined to stall Parliament over the demand for Raja’s removal and the Supreme Court on Monday slated to hear two cases related to the 2G spectrum scam, the Congress leadership had little option but to nudge Raja out of the Union Cabinet. When news tricked in late on Sunday that the Prime Minister would make a statement in Parliament on the 2G issue, it became clear that Raja was on his way out. The process to get rid of Raja was set into motion earlier in the day when Prime Minister Manmohan Singh, Congress president Sonia Gandhi, Finance Minister Pranab Mukherjee and Sonia’s political secretary Ahmed Patel met to discuss the party’s strategy, especially in view of the impasse in Parliament and the Supreme Court hearing on the 2G scam involving Rs 1.76 lakh crore. However, in Chennai, a defiant Raja refused to resign, saying he had done “nothing wrong” and that everything had been done according to the procedure set by his predecessors. He met Karunanidhi twice during the day amid speculation over his removal even as senior DMK leader and Tamil Nadu Law Minister Durai Murugan arrived in New Delhi for discussions with Congress leaders. The Opposition has also decided to corner the Prime Minister after Raja insisted that he had “kept the PMO in the loop at every stage” during the spectrum allocation process. Mukherjee had told newspersons after the meeting that the Government would make “any announcement regarding Raja only in Parliament”. However, according to sources, Mukherjee telephoned Karunanidhi immediately after the meeting and requested him to replace Raja with another party leader. During the day, a number of efforts were made by various leaders — including Ghulam Nabi Azad and Home Minister P Chidambaram, who talked to DMK leaders — to persuade the DMK chief to remove Raja from the Union Cabinet. “A lot of efforts have been made by the Congress to convince and persuade Karunanidhi to replace Raja. A number of leaders have spoken to the DMK chief and those close to him,” sources said. Even though pressure mounted to recall Raja, the DMK was firm that he had done “nothing wrong” and Raja declined to resign even as he emplaned to New Delhi on Sunday evening. Two Congress Union Ministers from Tamil Nadu come out in his support, asking the Opposition to wait till evidence against Raja was established. Since his arrival in Chennai on Saturday night and return on Sunday, Raja met the DMK chief and Tamil Nadu Chief Minister M Karunanidhi twice at the latter’s residence. Former Union Shipping Minister and the DMK parliamentary party leader TR Baalu also met the party persident. After his 30-minute meeting with Karunanidhi, Raja reiterated he had done nothing wrong and that he did not discuss resignation with Karunanidhi as “the question never arose”. BJP spokesperson Prakash Javadekar described Raja’s resignation as a “victory of the people”. Congress spokesperson Jayanthi Natarajan said the Congress’ crucial alliance with the DMK remained unchanged, ending speculation over whether Karunanidhi would exit the UPA Government, which it currently supports with 18 MPs. Karunanidhi was worried about how the dismissal of Raja, a dalit leader, would be perceived by voters in the State. Tamil Nadu votes in a few months for its next Government. The DMK still maintains that Raja has done no wrong. The Pioneer newspaper in Delhi and its unmatched correspondent J.Gopikrishnan must be given full credit for the exposure of the criminal fraud and corruption of former Telecom Minister A.Raja. He was officially sustained in this sphere of unprecedented mega corruption by the solid internal support of the equally corrupt Prime Minister and his Mother Superior firangi memsahib whose global corruption became known through out the world thanks to the Full Page Advertisement released by patriotic Indians in USA in the New York Times 2 years ago. The Sonia Congress Party and firangi memsahib tried to blackmail these Indians and failed miserably. Dr.Subramaniam Swamy is also a Field Marshall in this war against the corruption of Union Telecom Minister A.Raja. He is a man of destiny. Mother India has great things in waiting for him in the immediate future. The majestic, heroic and resplendent role played by him by filing legal cases in interminable succession against corrupt Ministers in authority are an imperishable part and parcel of contemporary political history. I would also like to pay my tribute to all the TV Channels who have played a magnificent role in exposing the Himalayan corruption of A.Raja, side tracking the continuous blackmail and blandishments of the Sonia Congress Party and its supremely corrupt Supremo. In particular, I would be failing in my public duty, if I do not pay my unreserved tribute to J.Gopikrishnan, the correspondent of The Pioneer in Delhi. Ones fingers are too many to count the number of patriotic, courageous, responsible and socially accountable exemplary journalists with unimpeachable integrity in our corrupt and decadent country today. Too many members of the working Press are too willing to uncritically pass on—even if they do not personally swallow—too much high level Government and political cant, trype, and public relations. There are too many corrupt journalists like former Minister A.Raja who are very willing to sell their birth right of candour and truth in order to become Government Pets, Party Pets, Corporation Pets etc. and who wistfully yearn after public prominence or gray eminency or blatantly crave for publicity for themselves, on lecture platforms or political rostrums. Thanks.I am greatly encouraged by your writings. To our younger generation, people like you, who never bent to anybody are always guiding lights. We consider people like you with great esteem. Praying to GOD for keeping courage like you for ever. Thanks a lot for giving ball to ball detail of the what is happening behind the wall to cover up this huge corruption case. When most of the TV channels print media are trying to protect the govt, your article gives hope that there are people who care for justice. v.sundaram,great article and we need some intellectuals like u to present their freelace view like this and "mango" people of this country will get some awarwness and contents of truth.